Describe the basic needs of animals. 1. Identify some animals which make good pets. 2. Identify a pet's basic needs. 3. Compare the needs of other animals with pets. * I have laid the unit out as a 4 week block but it could be extended over a longer time period or compressed. Week 1: Talk about what animals make good pets. Go for a neighborhood walk to see what pets are in the area. Research a variety of pets and choose a class pet (see lesson). Week 2: Learn about pet care. Visit a pet shop to learn about the best food, home, and other tools for a pet. Compare pet needs to other animals needs. Week 3: Talk about pet illnesses. Visit a veterinarian clinic and have the vet talk about treating pet illness. Week 4: Learn about pets around the world. What pets do we have in Canada that other places might not have and vice-versa? What animals make good pets? What are animals basic needs? What is involved in caring for a pet? What are the benefits of owning a pet? KWL Chart: Make a KWL chart a few days before starting the section on pets. Refer to the chart for lesson planning. Wordwall- Make a wordwall of pet vocabulary in the classroom to assist students with writing. (See Pet Vocabulary). Pet Center- create a pet center with books on a variety of pets, tools to take care of pets, and pictures of pets. 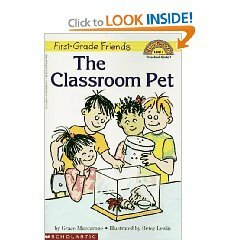 Classroom Pet Exchange- Visit this website to see how you can connect with another classroom during the pet unit. Responsible Pet care- A variety of lessons that teach children how to properly care for animals. 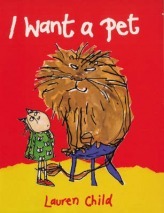 What Pet Should You Get?- A grade one language arts lesson plan on pets. Visit a vet clinic (Or have a vet come to the class): Have a vet talk to the children about animal illnesses and treatment. Visit the humane society: Have someone talk to the children about caring for animals. Visit a pet shop: Students will observe pets and learn about various pet products. Have a discussion about items that a pet needs and items that are unnecessary. Neighborhood walk: Take a walk through the neighborhood to see what pets are in the neighborhood. Show and tell: Have students take turns bringing their pet to the class. Wash hands before and after handling pets. Avoid handling lizards because they can carry samonella poisoning. Avoid handling hampsters because they are known for transferring diseases. Don't stick fingers into an animal cage. Read a variety of books on pets. Write a persuasive piece convincing someone that a certain animal will make an excellent pet. Create an ABC pet book. Create a favorite pet graph for the class. Use toy pet figures to make patterns. Try out some of the activities in the book Pet Science with the class pet. Use chia pets in the classroom to teach about plants and responsibility. See this article. Study the different kinds of footprints pets make. Have students represent a pet they like by sculpting, painting, origami, sketching, or any other way they wish to represent a pet. Provide a variety of materials. Learn about pets from around the world. Examine the different roles pets play in different parts of the world. Ex. In some cultures cats are eaten. Locate where pets come from on the map. Incorporate various pet locomotions into physical education experiences. For example, scamper like a mouse, hop like a frog, and run like a dog. Play animal tag using animals that make good pets. See game instructions here. Read The Good Luck Cat. Some first nations children played with puppets made by stuffing animal hair into hides that formed the shape of the puppet. Provide hides and other supplies for creating pet finger puppets. Create your own pet and watch it come to life! Every day since 1997 Pet of the Day has featured a new pet profile and photo. Learn about some of the working roles dogs play in our society. Tons of facts about all kinds of pets! Adopt and take care of an online pet. You can feed it, play with it, and so much more. 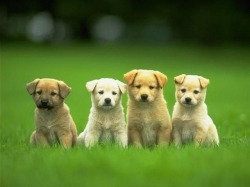 Find out about a variety of pets ancestry. Check out all the pet videos at 5min.com. This article addresses a variety of considerations when choosing a pet. There are lots of pets in my house.I have one gerbil and one white mouse. (Hold up one finger on each hand. )I have two kittens and two green frogs,(Hold up two fingers on each hand. )I have three goldfish and three big dogs. (Hold up three fingers on each hand. )Some folks say that's a lot!Can you tell how many pets I've got?